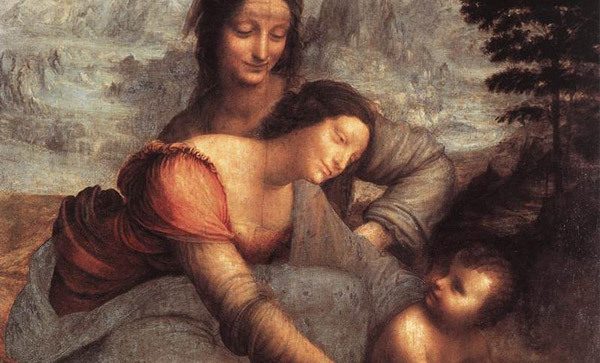 When the cleaning and restoration of Leonardo da Vinci’s “The Virgin and Child with Saint Anne” got underway in 2010 it was overseen by an international scientific committee of 20 specialists. Yet many were concerned that the work, which da Vinci spent 20 years on had still not completed at the time of his death in 1519, might be damaged or even destroyed. When the restoration was completed earlier this year, the Louvre celebrated with an exhibition featuring archival material. Included were da Vinci’s notebooks, sketches and preparatory drawings – including nearly two dozen on loan from the Royal Collection in Windsor – which convey the Italian genius’s thoughts about the composition, according to The Economist. 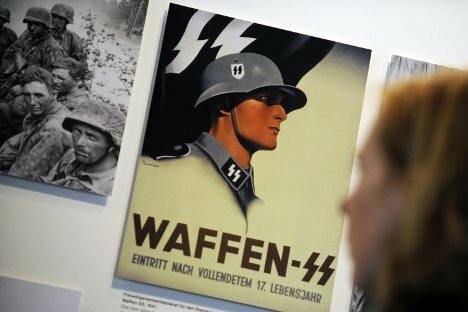 Klaas Carel Faber, a war criminal who worked for a time at the Nazi transit camp where schoolgirl Anne Frank was held before being sent to the Auschwitz and Bergen-Belsen concentration camps, died in a Bavarian hospital last week at the ripe old age of 90. Faber was sentenced to death by a Dutch court after the war but escaped and evaded all attempts by the Netherlands over the next 60 years to get him back. At the time of his death, he was second on the Simon Wiesenthal Center’s list of Nazi criminals still at large. Faber was a former member of the Nazi SS unit known as Silver Fir and was responsible for the murder of at least 22 Jews, but the toll was believed to be much higher, according to The Telegraph. In addition, his death squad targeted members of the Dutch resistance, and those who hid Jews and opposed Nazism. He was also a member of Sonderkommando Feldmeijer, which carried out arbitrary assassinations of prominent Dutch citizens in reprisal for Resistance activities, and he served as a bodyguard to Dutch Nazi leader Anton Mussert. A trip to Memorial Park in Columbia, SC, Monday found a smattering of people inspecting around the various monuments to those who gave their lives while in military service. Were it not for an extended family from Pascagoula, Miss., passing through, there would have been barely a dozen individuals on hand on this Memorial Day, most of them Vietnam-era veterans. It was a paltry showing given that the park is dedicated to those who lost their lives in Vietnam, Korea, World War II, World War I and, specifically, the Holocaust. But, then again, Americans have always tended to be a forward-looking group. This isn’t always a bad thing, but there’s a certain sadness that comes with the recognition that our society as a whole has limited interest in showing its appreciation to so many of its young men and women who died in service to their country. Politicians will roll out the platitudes at the proper times, families who have lost loved ones will grieve in their own private way and a small percentage will genuinely make an effort to recall those who gave their lives for the US. Except for the latter two groups, most Americans see Memorial Day as little more than just another holiday, a chance to cook out, swim at the local neighborhood association pool and knock back a few beers. 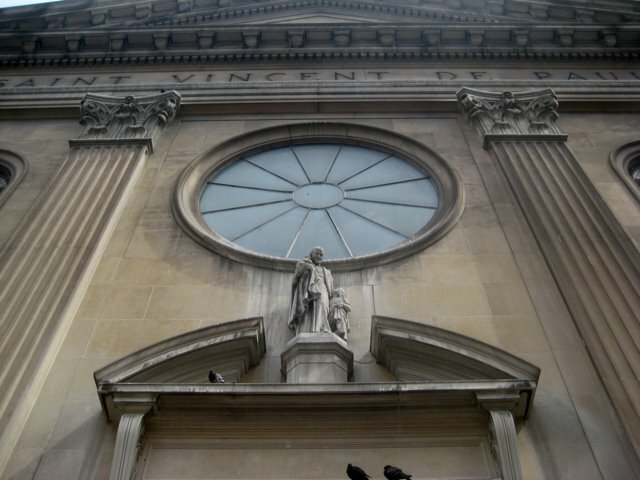 The Church of St. Vincent de Paul in Manhattan has a storied history. Dedicated in 1869, it was the first integrated church in New York, it has long served as the spiritual home for the area’s French-speaking Catholics and today it is Manhattan’s last francophone parish. Famed French cultural icon Edith Piaf was even married in the church in 1952. Today, it serves a diverse body of Catholics from France, Belgium, Benin, Burkina Faso, Cameroon, Haiti, Ivory Coast, Senegal, Switzerland, Togo and elsewhere. But the end appears near for the venerable building. “Stained-glass windows depicting the story of France are chipped, and plastic bins lay across the floor to collect rain from the leaky roof while yellow cautionary tape marks areas damaged by the water,” according to Agence France-Presse. Worse yet, the number of parishioners on the church’s rolls continues to dwindle; five years ago, the Roman Catholic Archdiocese of New York made the decision to close St. Vincent de Paul for good. However, churchgoers can get attached to their place of worship. Despite the fact refurbishing St. Vincent de Paul would cost an estimated $5-10 million, some aren’t giving up just yet. Some 150 years after Union forces created the first community in the US specifically for freed slaves, the area once known as Mitchelville is again being debated by the powers that be. A proposal under consideration by the S.C. Senate includes $200,000 for the Mitchelville Preservation Project on Hilton Head Island. The nonprofit group seeking to preserve Mitchelville officially formed two years ago, on the eve of the Civil War sesquicentennial. Plans are to buy plots adjoining a 33-acre beachfront town park toward the nonprofit’s long-term goal of recreating parts of the original town, according to The Associated Press. The former community at the northern end of Hilton Head Island was formed after invading Union Army and Navy troops established headquarters at nearby Port Royal in fall 1861, just a few months after the beginning of the Civil War. 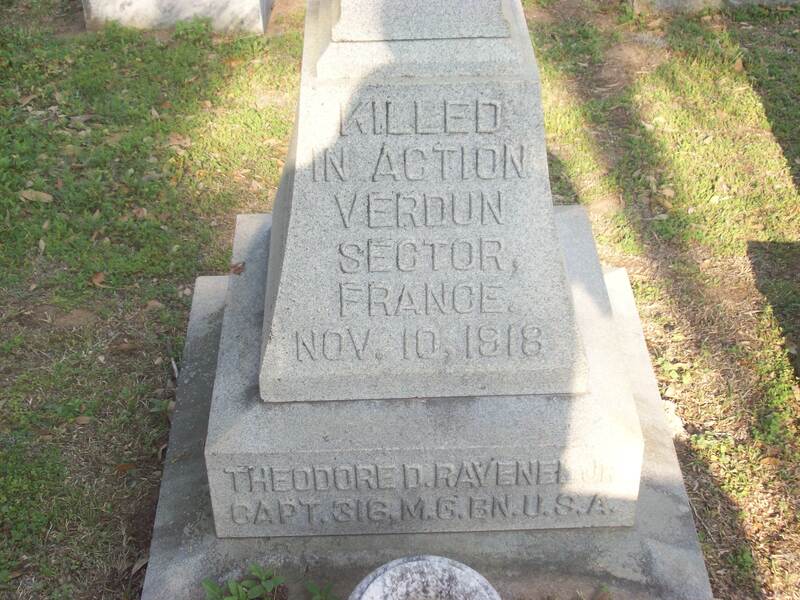 Federal forces created a safe haven for slaves left behind by plantation owners who fled inland and for slaves fleeing from plantations on nearby islands. 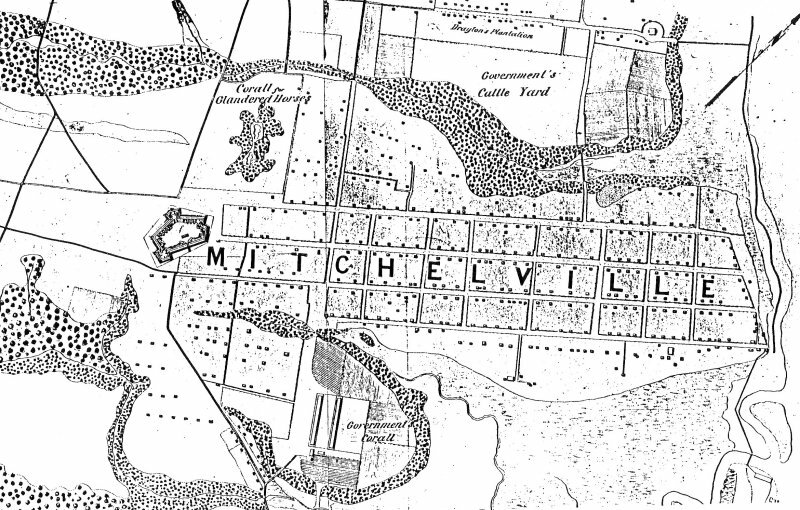 What was created was a village of between 1,500 and 2,000, named after Union Gen. Ormsby Mitchel. It included homes built on half-acre parcels, town elections and mandatory schooling. Residents of the self-governing community dispersed after Union troops left in 1868, according to the wire service. The Tulsa race riot is a particularly ignominious blot on American history. 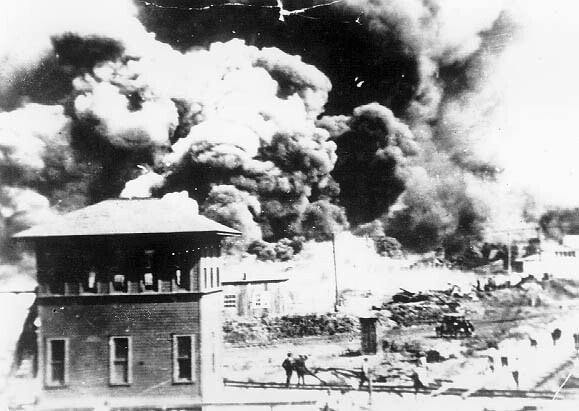 Over an 18-hour period on May 31-June 1, 1921, a race-fuel siege destroyed the wealthiest African-American community in the United States, wiping out 35 blocks of a residential and business community known as the “Black Wall Street,” and leaving 300 known dead and 10,000 homeless. Yet, it’s largely an unknown event, ignored by Oklahoma history books until quite recently, and unknown by many individuals both black and white. Otis Clark, the last known survivor of the Tulsa race riot, died this week in Seattle at the age of 109. He told a Tulsa television station in 1999 that he remembered being shot at while attempting to secure a car to help riot victims. Clark’s family’s home was burned to the ground in the conflagration, and he believed his stepfather died in the riot because he was never seen again. Shortly after the melee, Clark left Tulsa on a train bound for California. One of the great sins of war is that the damage done – at least that of the materiel variety – is often not made public by government for years or even decades. 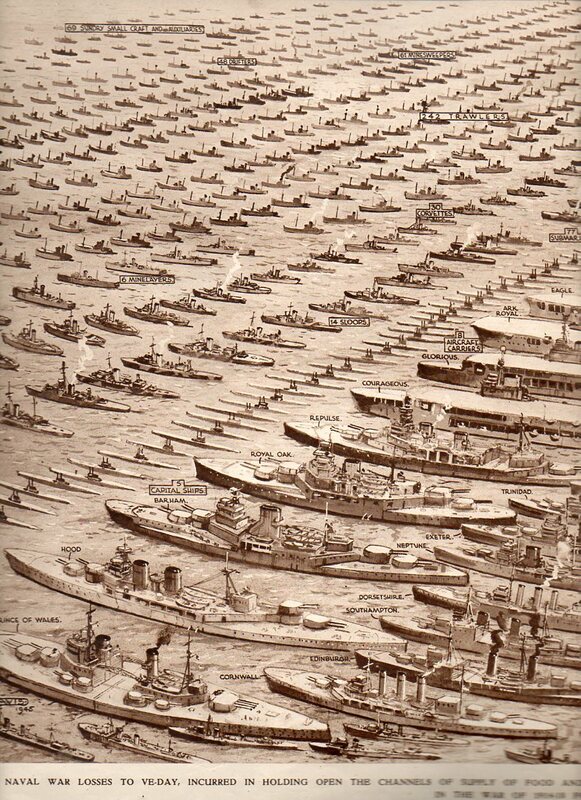 Great Britain, then, was way head of the curve when the above image appeared in The Illustrated London News on June 23, 1945, just weeks after the end of World War II. According to information found on the website for Ptak Science Boos, the narrative that accompanies the image states that there were on average nearly 3,000 British and Allied ships at sea at any given moment during the 1939-45 conflict, with the Royal Navy patrolling an aggregate of 80,000 miles of trading routes, day in and day out.